For the past six years, Trentonians, Californians, Texans, Floridians, and even Canadians have come to the Capital City to experience the Trenton Punk Rock Flea Market. The Trenton Punk Rock Flea Market (TPRFM) was started by native Trentonian Joseph Francis Kuzemka who decided to bring a cultural event for Trentonians and visitors to the Capital City after successfully launching Art All Night. The first TPRFM was held in January 2013 with 50 vendors and two food trucks at Artworks, but would rapidly outgrow Artworks as almost 2,000 patrons attended the inaugural two-day event planned for only 400 attendees. Now, the event is a yearly phenomenon with almost 4,000 patrons attending at the Roebling Wire Works. The TPRFM has also expanded to host several events throughout the year including the Trenton Punk Rock Flea Market: Halloween Edition in the Fall. The TPRFM has also led to the creation of other punk rock flea markets throughout the United States in Texas, Florida, and beyond. 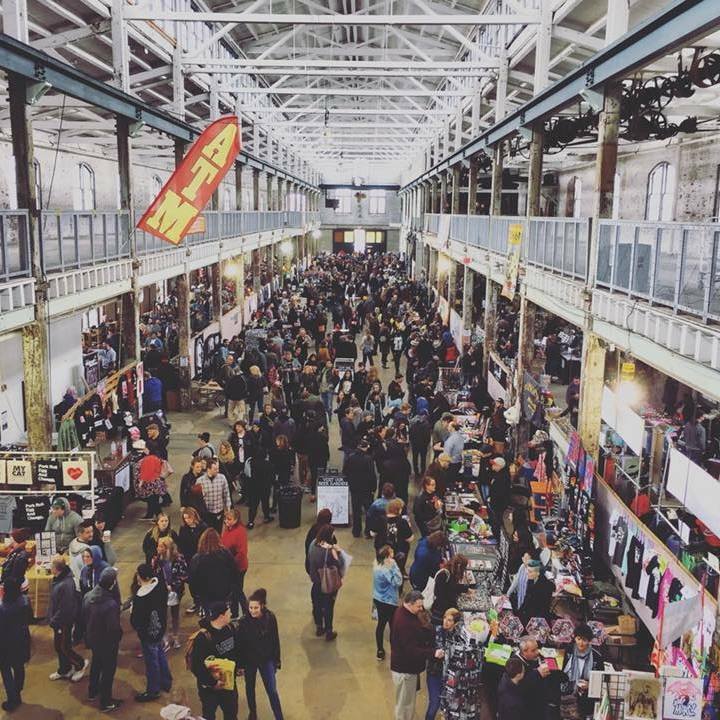 This Saturday and Sunday, April 6th and 7th from 10 a.m. to 5 p.m., thousands of visitors are expected to flock to Trenton for the Trenton Punk Rock Flea Market. This year’s event will feature roughly 500 vendors including Mike Zohn from Obscure Antiques in NYC; Sour Puss Clothing which is one of the biggest alternate women’s clothing companies; Weird NJ magazine and others hailing from across the U.S. and Canada. The market will also feature two live music stages in the garden and beer tent with drinks from Neshaminy Creek Brewing Company and a game show night hosted by Trenton’s Tony Goggles, who will also be hosting the cosplay contest on the outdoor stage happening on both days. Patrons can also choose delicacies from 10 different food trucks each day. You can also grab a new tattoo at the TPRFM with live tattooing by Brand New Tattoo. Also, there will be a pre-party event on Friday night at the Mill Hill Basement featuring Cryptkeeper Five, a Trenton-based band which happens to be one of the longest running punk bands in New Jersey. There will also be an after party Saturday Night at Champ’s featuring acts organized by Kuzemka’s Pork Chop Express Booking.